In the first two phases of the Marvel Cinematic Universe, science and gods have reigned supreme. But now, with phase three on the horizon, things are going to get a little… peculiar. Magic is in the air, and the debut of the Sorcerer Supreme is finally here, as the first trailer for Doctor Strange has landed. Prepare to be amazed, as you watch the trailer below. After all of Marvel Studios mandated hype leading to tonight's premiere on Jimmy Kimmel Live, Doctor Strange looks like it's going to be one hell of a mind twister. We don't get to see too much of Bendict Cumberbatch's Stephen Strange before his heroic transformation, but what we are treated to is something much more special. The first trailer gives us a look at Strange's journey to find The Ancient One, as well as her initial methods of conditioning the good doctor to look at the worlds beyond his own. 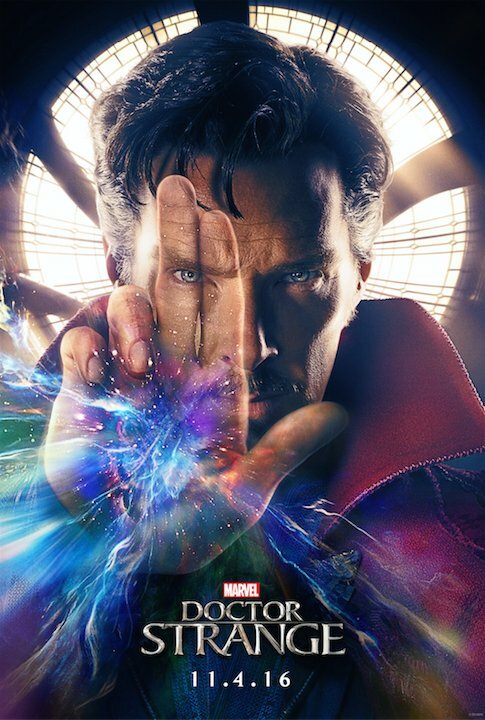 Doctor Strange sees Benedict Cumberbatch making his debut in the world of the Marvel Cinematic Universe as Dr. Stephen Strange. A brilliant, but cocky, surgeon, the good doctor’s fortunes change after a tragic accident leaves him with hands unable to carry on as they once had. Desperate to regain his talents, Stephen dabbles in the mystic arts, and becomes more powerful than he could have ever imagined. Which means that he’ll be inheriting the standard "great responsibilities" thanks to his new found powers. The film is directed by Scott Derrickson, and will also star Chiwetel Ejiofor as Karl "Baron" Mordo and Tilda Swinton as The Ancient One, as well as Rachel McAdams, Michael Stuhlbarg, and Mads Mikkelsen – all in unspecified roles. While we don't know his character's name, the enigmatic figure that Mads Mikkelsen plays in the trailer appears to have honed the abilities that Doctor Strange is just getting used to. So there's a good chance that while Tilda Swinton's Ancient One is trying to train Stephen to use his powers for good, Mikkelsen's baddie may try to sway him to work for the darker side of the equation. Either way, Benedict Cumberbatch's famed sorcerer is about to learn a thing or two about how to operate in multiple realities, while speaking with a convincing American accent that will definitely take some getting used to. This fall's Doctor Strange is Marvel's first foray into its more mystical canon, and if the first look at Scott Derrickson's recently wrapped picture has anything to say about it, the wait has indeed been worth it. We can definitely say we're looking forward to seeing what comes next with this flick, and we're already marking November 4th on our calendars.